☀¿Regresando de vacaciones? Conéctate de nuevo conociendo las actividades del Movice de diciembre y enero. MOVICE is organized in chapters (regional groups). We are present in 15 of the 32 departments in the country. 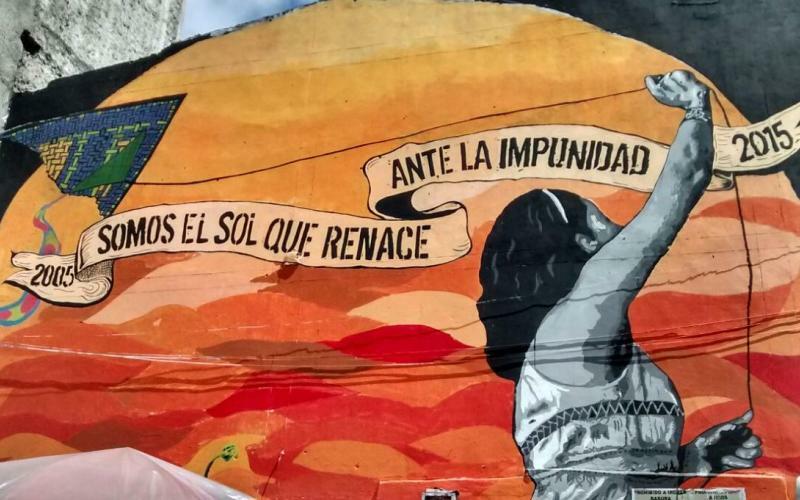 Each chapter does advocacy work in its territory with the development of strategies to combat impunity, according to its territorial characteristics and dynamics, in order to require access to justice, truth, reparation and guarantees of non-repetition and to contribute to their creation. Click on each of the departments to know who take part of the chapter and all the news of their actions against impunity. In addition by pressing the “Read more” button you will find an expanded context about who are the main State criminals on the region and some of the violent facts. The Antioquia chapter is composed of the group of relatives of victims of extrajudicial executions Ejecuciones Extrajudiciales Tejiendo Memoria, relatives of disappeared detainees (amongst them la vereda de la Esperanza), Asociación de Víctimas del Nordeste Antioqueño, Mujeres Caminando por la Verdad (victims of the Operación Orión) PCC, JCC, CJL, Gempren y Madres de la Candelaria Línea Fundadora. A lot of these crimes were committed by the action or the omission of 4th Brigade of the National Army in complicity with the Autodefensas Unidas Colombianas – AUC (the United Self-Defense Forces of Colombia) and the support of the Antioquia Governorate, groups of farmers, merchants and industrials. 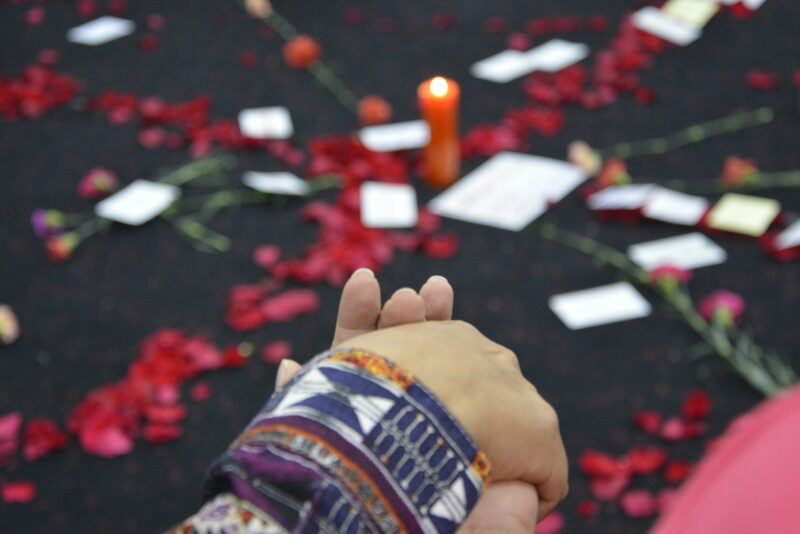 The Atlántico chapter, based in Barranquilla, is mainly composed of victims of forced displacement, targeted murders and extrajudicial executions. These crimes were committed by El Frente José Pablo Díaz Zuluaga from the AUC and others from the La Popa Battalion of the National Army. In this chapter, there are 16 victim organizations composed of displaced families, women, rural victims and sections of human rights organizations such as the Comité de Solidaridad con los Presos Políticos (CSPP) and the Comité Permanente por la defensa de los derechos humanos (CPDH). The Barranca chapter is mainly composed of victims of five cases of socio-political linked to enforced disappearance and extrajudicial executions committed by the Autodefensas Unidas de Santander y sur del Cesar (Ausac) with the complicity of the Nueva de Granada Battalion of the 5th Brigade of the National Army. 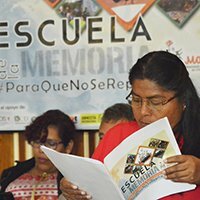 This chapter contains 14 victims’ organizations such as the Colectivo 16 de Mayo, the Asociación de Familiares de Detenidos Desaparecidos – ASFADDES and the Asociación de Desplazados Asentados en el Municipio de Barrancabermeja – ASODESAMUBA. 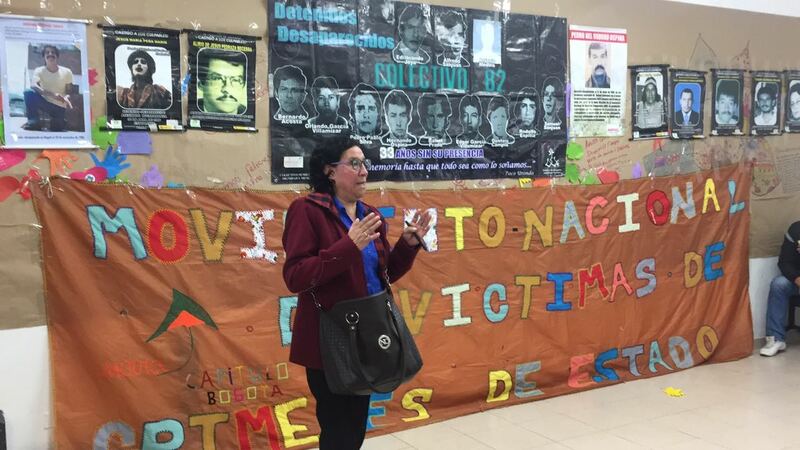 In their fight against impunity they promote ongoing processes to assert their rights, mainly linked to the search of their disappeared relatives. 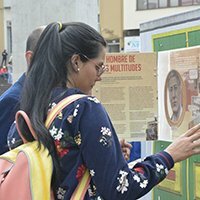 In the Bogotá chapter, the main participants are victims of enforced disappearance, targeted assassinations and forced displacement coming from the capital and other regions in the country. The organizations that participate are Hijos e Hijas por la Memoria y contra la Impunidad, Beligerante, Guarichas, El Embudo, Unión Sindical Obrera (USO), Semillas de Memoria y Dignidad with the support of volunteers and college students. The AUC were present in the city via the Bloque Capital which committed human rights violations with the complicity of the 13th Brigade of the Army, part of the intelligence. The Sur de Bolívar chapter is composed of Fedeagromisbol (Federación Agrominera del Sur de Bolívar) which gathers 45 associations of small miners, farmers and fishermen and victim committees from the municipalities of San Pablo, Simití, Santa Rosa, Morales, Rioviejo, Montecristo, Norosí and Tiquisio; the Comité de Víctimas de Aguachica, Gamarra y San Martin, and the Comité de Víctimas de Catatumbo; and the CISCA (Comité de Integración Social del Catatumbo). The paramilitary action in the area was carried out by the Autodefensas Campesinas de Córdoba Y Urabá (ACCU) working with members of the Mobile Brigades 1 and 2, and the Nueva Granada Battalion of the National Army. 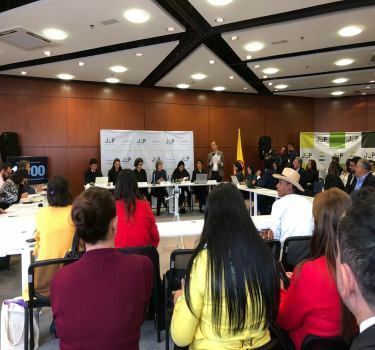 The Boyacá chapter is composed of victims of enforced disappearances, extrajudicial executions and murders from the municipalities of Tunja, Duitama, Sogamoso, Pisba, Paya, Labranzagrande, Ventaquemada and Soatá. 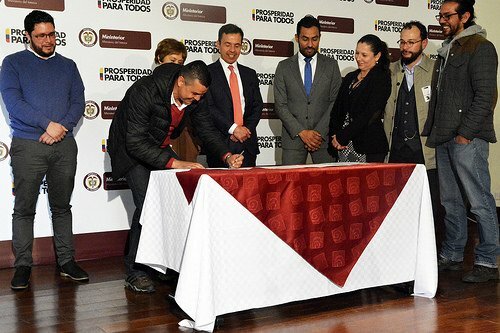 The following organizations are part of this chapter: Unión SUTIMAC-Nobsa, Centro de Investigación y Educación Popular/ Programa por la paz (CINEP / PPP), CSPP, Colectivo de Abogados “José Alvear Restrepo” (CAJAR) and the CPDH of Boyacá which work with Vida Memoria y Dignidad. 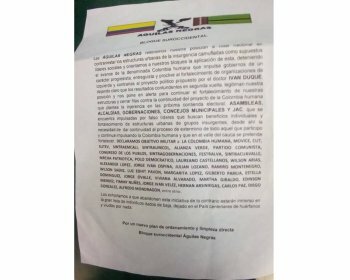 State criminality is attributed to the Frente Héroes de Boyacá (Bloque Elmer Cárdenas of the AUC) and the Bloque Central Bolívar Autodefensas Campesinas del Casanare with the complicity of the Tarqui y el Gaula Militar de Boyacá Battalion. The Caldas chapter is present in the municipalities of Riosucio, Samaná, Salamina, Supía and Manizales. It is composed of victims of the Unión Patriótica, the Partido Comunista Colombiano (PCC), the CPDH, the Central Unitaria de Trabajadores (CUT), the organization of victims of extrajudicial executions: Voces Unidas exigiendo justicia, the Organización Colombiana de Pensionados y víctimas de Crímenes de Estado no organizadas. The Autodefensas del Magdalena Medio which then took the name of Frente Cacique Pipintá were present (and never demobilized), and the 57 and 9 Contraguerrilla Battalions and the Ayacucho de Manizales Battalion were accused of extrajudicial executions. The Casanare chapter includes victims of enforced disappearance, extrajudicial executions and forced displacement committed by the Autodefensas Campesinas de Casanare and the Infantry Battalion N° 44 – Ramón Nonato Pérez of the National Army. The main organizations that a part of this chapter are the Corporación Social para la asesoría y Capacitación Comunitaria (COSPACC), the Asociación de Jóvenes de Casanare (AJOCARE), the Asociación Campesina José Antonio Galán Zorro (ASONALCA), the Asociación de Mujeres por Casanare (ASMUC) and the Corporación Claretiana Norman Pérez Bello. 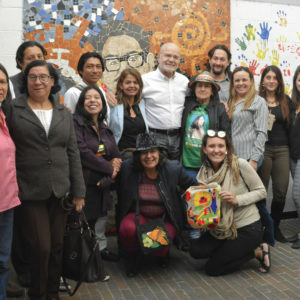 The Cauca chapter coordinates victims and organizations such as: Renacer Siglo XXI, the Asociación de Desplazados Fuerza de Paz- ASFUPAZ, Fundación Territorios por Vida Digna, relatives of extrajudicial executions, victims of Guachené, Santander de Quilichao, Puerto Tejada, Buenos Aires, Tambo, Timbío, Coconuco and Popayán. State criminality in the department has been generated through the persecution and assassination of indigenous and peasant leaders by the Bloque Calima of the AUC in joint actions with the public force, including the José Hilario López Battalion of the Army and undercover F-2 agents allegedly financed by landowners. 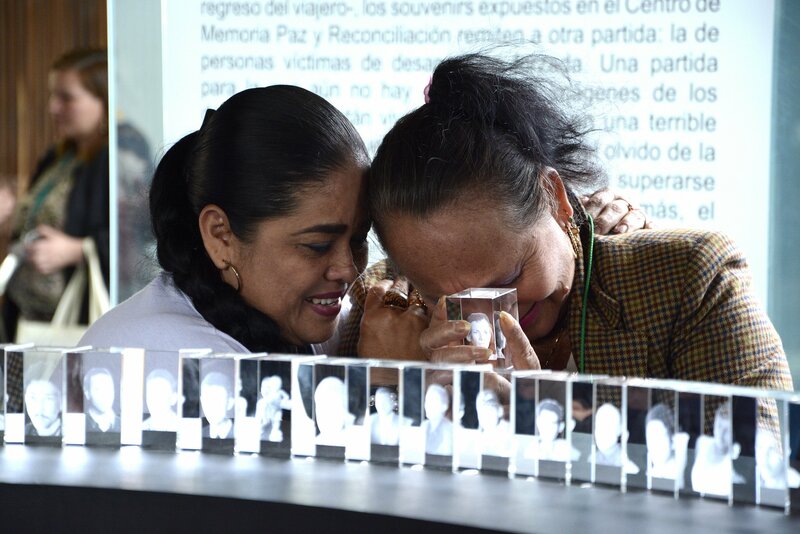 The Meta chapter mainly brings together human rights organizations and surviving victims of the Unión Patriótica (UP), relatives of enforced disappearance victims and relatives of victims of massacres. The responsibility is attributed to paramilitary groups (the Autodefensas Campesinas de Meta y Vichada – ACMV, the Autodefensas del sur del Casanare and the Bloque Centauros of the AUC). In 10 of them the participation of the Public Force has been proven and some are members of the Joaquín París Battalion in San José del Guaviare and the 7th Brigade of the National Army in Villavicencio. The Bloque Libertadores del Sur of the AUC (paramilitary group) operated in this region. Members of this group have been condemned for homicide, kidnapping, forced displacement and enforced disappearance. These crimes were perpetrated against black and indigenous communities amongst others because they were defending their territory and struggling for the titling of their lands. These crimes were committed in various joint actions with the Macheteros del Cauca, Batalla de Boyacá battalions of the National Army, the Police station of the municipality El Rosario, the Third Brigade of Cali, the Air Force and the Departamento Administrativo de Seguridad – DAS (State group in charge of the intelligence and counterintelligence). The Norte de Santander chapter is active in the municipalities of Cucuta, Convención, El Carmen, Hacarí, El Tarra, Tibú, San Calixto and La Playa. It mainly gathers victims of the massacres that happened in Catatumbo and victims of forced displacement, targeted killing, enforced disappearance perpetrated by the Autodefensas Campesinas de Córdoba and Uraba and the Bloque Catatumbo of the AUC (both are paramilitary groups) with the complicity of the 5th and 17th Brigades of the Army. In this regional office we can also find the following organizations: the CALP, PODERPAZ, amongst others and victims of the Unión Patriótica. The majority of the victims that make up the Sucre chapter were dispossessed of their land by paramilitaries from the Bloque Héroes de los Montes de María and the Frente La Mojana (of the Bloque Norte of the AUC) which in some cases acted with the complicity of the 1st Brigade of the Marine Infantry. 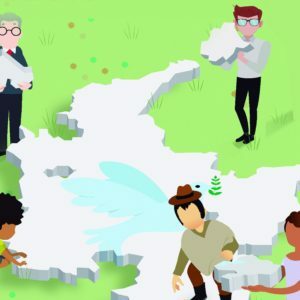 The Sucre chapter is composed of peasant organizations that are returning to their land and resisting and amongst them are farmers from La Europa and San Onofre farms and from La Alemania farm. 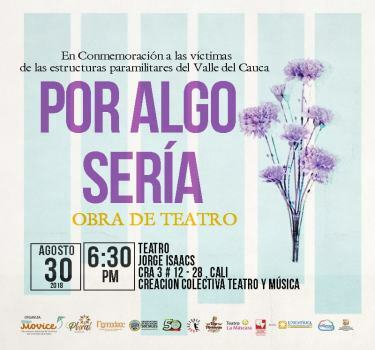 Other organizations that are part of the chapter are the Organización de madres de personas víctimas de desaparición forzada en el Municipio de Tolú Viejo (Organization of mothers of victims of enforced disappearance in the municipality of Tolú Viejo) and the CPDH. The Tolima chapter gathers victims of the widespread attacks of the Bloque Tolima of the AUC and the Frente Omar Isaza of the Autodefensas del Magdalena Medio with the complicity of the 6th Brigade of the Army. 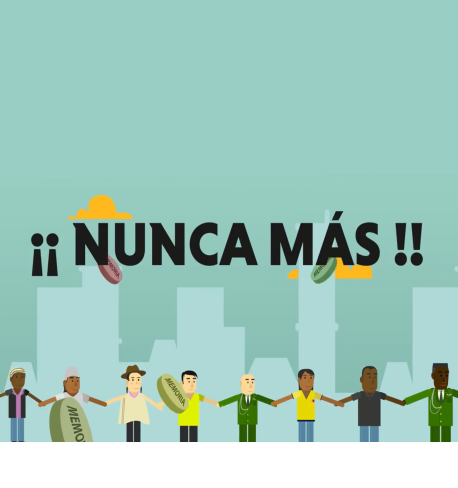 This chapter is mainly composed of the Central Unitaria de Trabajadores de Colombia – CUT, CSPP, Congreso de los Pueblos, ATNHOC, Mesa Municipal de Víctimas, Mesa Nororiental de Organizaciones, Mesa de víctimas de Líbano, Asacol, CORPOGUAMA and Fundación Protección Colombia de los Derechos Humanos – Fundaprocol. The Valle MOVICE chapter is built from organizational processes of victims of extrajudicial executions, enforced disappearance, paramilitary massacres and forced displacement. 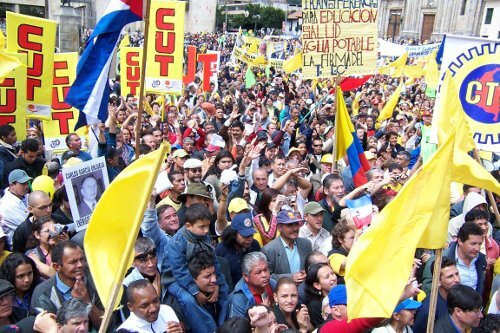 It groups organizations such as Asociación Nomadesc, CSPP, Corporación Plural, Asociación de Hombres y Mujeres de Triana, ASODESE, Red hermandad en Colombia, labor unions and survivors of political parties like A luchar. 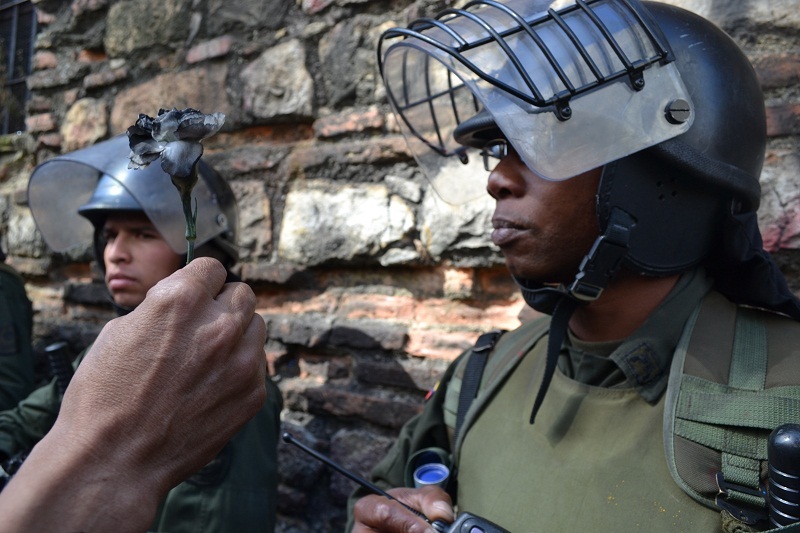 The paramilitary raids were perpetrated by the Bloque Calima and the Bloque Pacífico of the AUC with the complicity of the 3rd Brigade of the National Army. 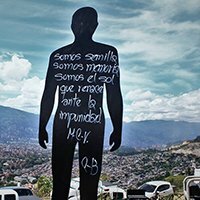 The Colombia Nunca Más (Never Again) Project aims at combating impunity related to the crimes against humanity perpetrated in Colombia through the collective reappropriation of historical memory. 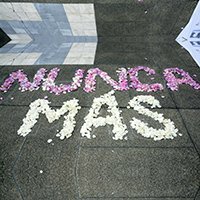 Thanks to documentation of the historical context, judicial processes and the experiences of victims and victimized organizations, Nunca Más Colombia contributes to the investigation of State crime.